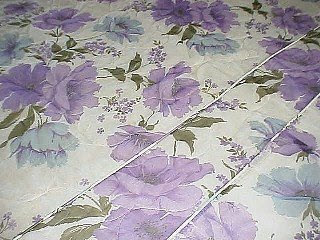 This bedspread was for sale on eBay. They didn't show much of it but it looks like the bedspread that was in my and my sister's bedroom. 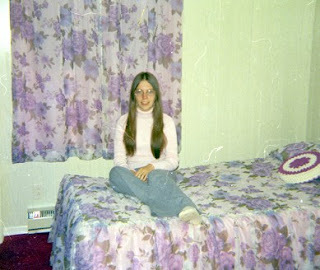 Here she is sitting on her bed, this was probably shortly after the new bedspreads and curtains were bought. And purple carpet to match! Taken in the 70's. Posted by Karen at 12:23 p.m.